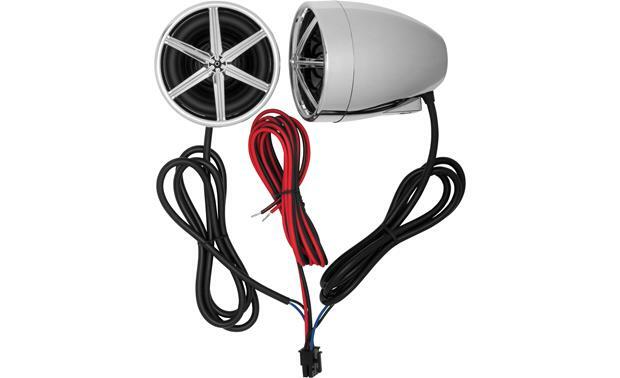 Do you have a motorcycle or an ATV without a sound system, or a boat that needs some music? 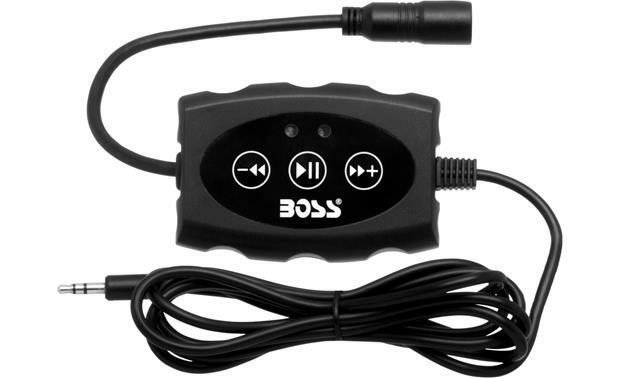 The MC600B audio system from Boss allows you to stream music from your phone or other Bluetooth-equipped device. The system consists of two 3" speakers encased in pods, powered by a 2-channel amp. Best of all, the MC600B's components, including the speakers, circuit boards, and amplifier connections, have been specially coated and sealed to protect from water and weather. The MC600B includes an in-line multi-function remote control to regulate the sound going to the two speakers. The package includes adjustable brackets that mount the streamlined speaker pods to a handlebar or rail. You can connect your media player to the system's 1/8-inch input jack or through Bluetooth, and the system's tough little amp will rock the great outdoors. And the system's reception range is up to 33 feet, so you can keep the music playing even when you're not right next to the system. What powers it? Is it battery powered or is it wired to the vehicle? Amplifier Inputs: The amp has two inputs, a male 3.5mm mini-plug on the 58" cable attached to the control box and wireless Bluetooth. Speaker Mounting: The speakers are designed to mount to a round tube using the adjustable clamps. 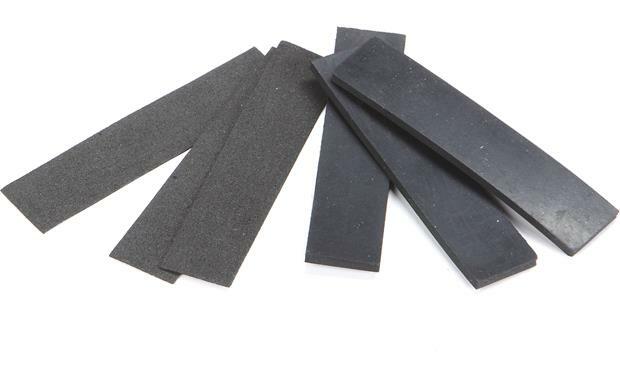 Spacers are included for use with tubes from 7/8" to 1-3/8" (approximately). The speakers can still swivel almost 360°. Control Box: The control box is typically mounted to the handlebars using the included bracket. (The mounting bracket for the control box is just like the speaker mounting brackets.) Once paired with a Bluetooth device, the control functions are play/pause, skip to the next track, return to the previous track, volume up, and volume down. Only the volume buttons are active when the source is connected to the 3.5mm input. Note: Due to the differences in Bluetooth technology, some Bluetooth enabled devices may be incompatible, or may not support all the control box commands. 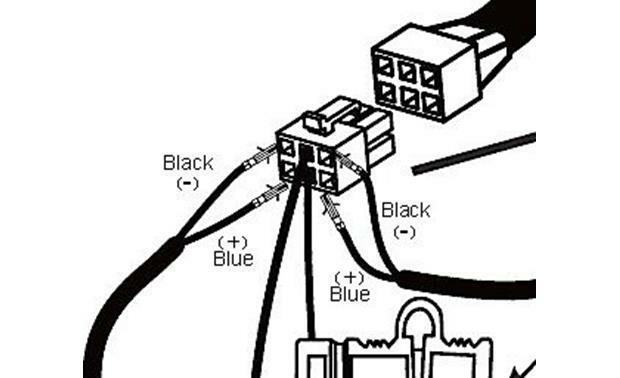 Wiring: Each speaker has an attached 41" input wire, terminated with inserts that plug into the Molex plug on the power/ground wire (the end of the wire that connects to the amplifier). A 20" long bundle of wires attached to the amp is terminated with the mate to the power/ground wire Molex. A 72" cable attached to the amp plugs into an 8" cable attached to the control box. We bought the all terrain speakers to put on our pontoon. I need help to know what to plug the six in power cable adaptor battery plug into? I bought my system to plug into my Harley wiring it simply connects between the wire connectors and the battery's terminals. is the amp running on 2 ohm or 4 ohm? 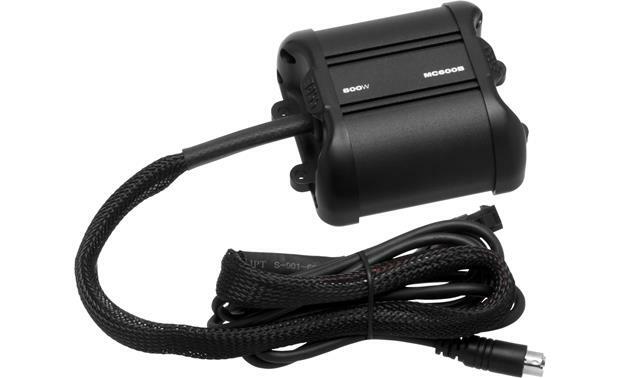 I have mine on my motorcycle so its connected directly to the battery and I put in a recommended switch to completely turn off power when not in use or it drains the battery. It is wired to the vehicle's 12 Volt system. The amplifier is powered by the vehicle's battery. I have it hard wired to my motorcycle battery terminals instead of using some type of fuse relay. Its wired to the vehicle. Very easy installation. I used a 10 amp add-a-circuit from the fuse box and ran a separate relay. The signal must be switched with ignition because there is no remote turn on wire or switch. 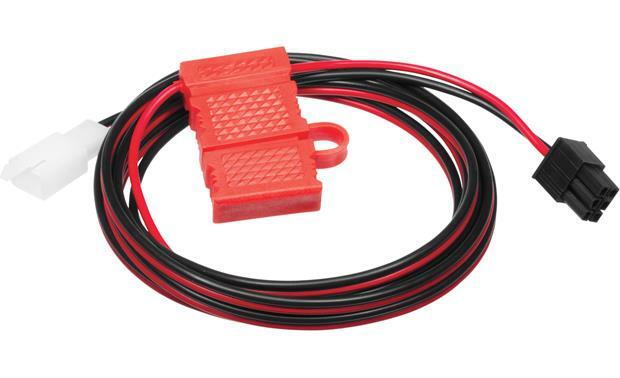 It needs to be connected to a switched 12v source in your vehicle. I wired mine to the fuse block to an open block. So when you turn the key, the system turns on. The ground would go to a strong ground on the bike. how does this sound on a mc? What size bars will they fit? Sounds great. But you get the loudest sound thru 3.5mm wire versus bluetooth but works great either way. Awesome system. 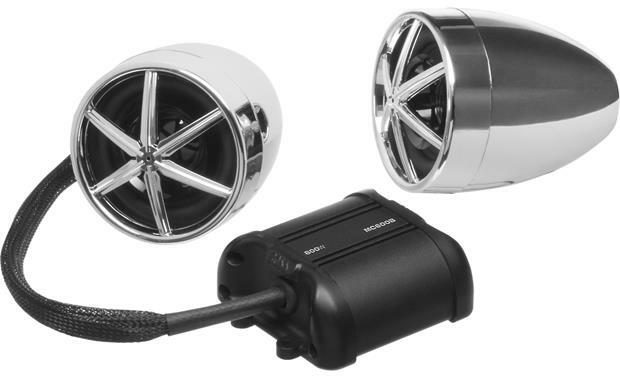 Searches related to the Boss MC600B All-terrain Bluetooth® speaker pods and amplifier system.